Do You Know the Early Warning Signs of Leukemia? Cancer is frightening no matter what form it takes, but leukemia is one of the deadliest cancers you can be diagnosed with. Every three minutes, someone new in the U.S. is diagnosed with a type of leukemia according to the Leukemia and Lymphoma Society¹ – and more than 1.3 million people are living with this cancer right now. Anyone can develop leukemia, but very few people are screened for this unique cancer. Do you know the warning signs leukemia presents? If not, here’s what you need to know. Leukemia is a type of cancer that affects the bone marrow and other blood-forming tissues of the body. Leukemia can form in a number of ways; some individuals have a higher risk of developing leukemia because of a genetic predisposition to the disease. If you’ve experienced long-term exposure to certain known toxins, such as benzene, BPA, arsenic, and formaldehyde, you can also develop leukemia. When leukemia is diagnosed, an oncologist often breaks them down further into different subtypes. 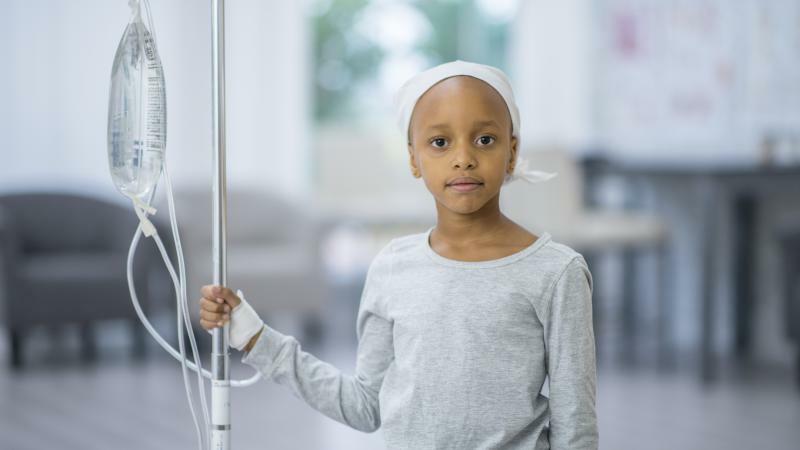 Every case of leukemia differs slightly according to whether or not the disease a person has is chronic or acute and the speed at which the cancer is growing. Like all types of cancers, the longer you wait to seek medical treatment, the more limited your options will be in regards to treatment. An Unexplained Fever: Usually, you’ll only develop a fever if you have an infection or virus. However, raising the body’s core temperature is a natural defense mechanism when foreign bodies are present. If you have leukemia, your fever will persist on a near-daily basis. Weight Loss: Effortless weight loss is one of the most common signs of this condition. If you’re suddenly losing weight without changes to your diet or exercise regimen, it could be leukemia. Rash: One of the tell-tale signs of leukemia is a rash that looks like a cluster of tiny red bumps on the skin. Fatigue: If you’re feeling fatigued, so tired you don’t feel better after a good night’s sleep, or so exhausted that getting out of bed is difficult, visit a doctor. Bruising Easily: Leukemia can occur at any age, including small children. Parents should look for an increase in bruises on their child’s body that can’t be explained from bad falls or every day play. Swollen Lymph Nodes: If you’re feeling swollen lymph nodes, you may be more than sick with a cold. Whenever leukemia is present in the body, the lymph nodes will stay swollen for months at a time. Chemotherapy: One of the predominant cancer treatments, chemotherapy is the most common treatment used to attack leukemia according to the Mayo Clinic³. Chemotherapy using a drug or combination of drugs taken via pill or injected to kill leukemia cells. Targeted therapy: Leukemia-specific drugs, which are able to attack cancer cell vulnerabilities, are taken regularly. Radiation: Another common leukemia treatment, radiation uses x-rays to kill or stop the growth of cancer cells. It can be used alone or in combination with other treatments. It can be used over the whole body or targeted at a specific area. Stem cell transplant: A less common option, stem cell transplants are relative newcomers in the cancer treatment world. When used, this type of treatment replaces cancerous bone marrow with stem cells to help rebuild new bone marrow. With more and more research occurring in the medical field each year, there are increasingly different treatment options available. When you are diagnosed with leukemia, you and your doctor will create a plan to attack this cancer – and you can inform yourself about all of the available options by doing research ahead of time. Getting the news that you have leukemia isn’t easy, so some people may be tempted to avoid going to the doctor as long as possible because they’re afraid of what they might find out. However, the sooner you get diagnosed, the sooner treatment can begin – and the higher your chance of survival is because the treatments you receive will be more effective. You’ll also have more treatment options available to you in the early stages of the disease. So, if you or someone you care about begins exhibiting any of the above-mentioned leukemia symptoms, make an appointment to discuss them with a licensed physician today. Interested in learning more about the early signs of leukemia? Start a search today.